The following are my opinions about Dr. John Gonzalez and Riverside’s Orthopedic Medial Group based on my personal experiences. Doctors have occasional emergencies that need immediate attention and may throw their schedule of a little. I get it. But with Dr. John Gonzalez (and the other doctors at Orthopedic Medical Group of Riverside) that is an everyday occurrence. My first 3 appointments with Dr. John Gonzalez had an average wait time of 2 hours each. 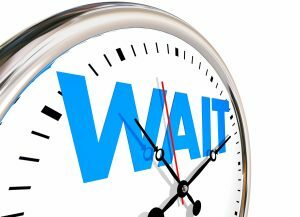 When scheduling my fourth appointment, I explained that I don’t have 2 hours to waste and asked what could be done to minimize that going forward. Staff suggested calling prior to my appointment and they could let me know if the doctor was running late. They scheduled me for 12:45, the third patient for the doctor after lunch. When I called prior to my appointment as suggested, staff told me the doctor was running on time. When he was “running on time” I still ended up waiting AN HOUR AND FORTY-FIVE MINUTES after my appointment time. How can I be the 3rd patient after lunch and the doctor still make me wait an hour and forty-five minutes? I believe the answer is that Dr. Gonzalez is truly apathetic about his patients and their time. 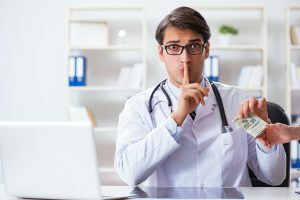 As such Dr. John Gonzalez directs his staff to grossly overbook him, wasting hundreds of hours of patients’ time every week, so he can “feel important” and maximize his own billing and income . And the irony is, if you’re late, he wont see you. You have to reschedule. Maybe one of the reasons Dr. Gonzalez waiting room is like a cattle call is that it is Orthopedic Medical Group’s policy to require frivolous appointments. 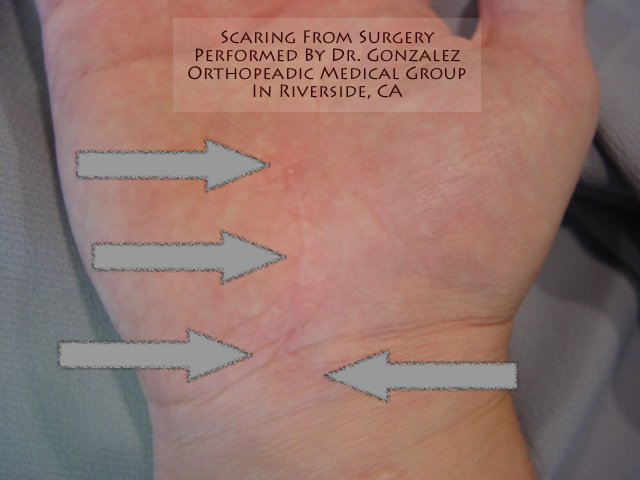 On my first visit with Dr. John Gonzalez at the Riverside branch of Orthopedic Medical Group (on Brockton but which is now on Latham Street in Riverside), Dr. Gonzalez did a full examination on both wrists. That included reviewing x-rays, took motion measurements, tested grip, reviewed the neurological report, etc. FOR BOTH HANDS. When he took the stitches out we discussed the surgery needed on my left hand. He told me everything needed to do it was complete (tests, support information, insurance approved), simply call the office when I was ready, and we could schedule a pre-op appointment and the surgery. When I was ready to do move forward on the left hand, I called the office as directed by Dr. John Gonzalez, relayed the doctors comments and stated we needed to schedule the surgery and a pre-op appointment. The staff stated that the doctor is the only one that can schedule surgery and pre-op appointments, and I would need to come in and see him. I explained I had already been evaluated and approved for surgery on both hands. I didn’t need to see the doctor, I just needed him to schedule the surgery and let me know when to come in for the pre-op appointment. I suggested to have the doctor schedule it and call me back with a time for the pre-op appointment – my schedule was open. The office staff verified that what I was stating was correct, but insisted I had to come in so Dr. Gonzalez could schedule the pre-op and surgery date. It could not be done over the phone. Yes… that is their policy. 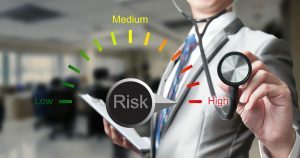 Food for Thought – My understanding is a doctor cannot bill insurance companies for scheduling appointments on the phone. However, they can bill for office visits regardless of how fast they are. I think Dr. Gonzalez and Orthopedic Medical Group required me to come in for a 2-minute appointment (which took a half a day of my time when you consider driving and the 2 hours wait for him) just so he could bill the insurance company for an additional, unneeded appointment. I don’t believe Dr. John Gonzalez to be a good surgeon but didn’t realize the depth of his incompetence until I had a completely different experience on my second Carpal Tunnel surgery with Dr. Hiromu Shoji. The surgery performed by Dr. Gonzalez, left me with such excruciating pain I cried. Norco (twice as strong as Vicodin) barely took the edge off, and it was like this for almost 2 weeks. My second surgery (performed by Dr. Hiromu Shoji, an amazing Surgeon) was nearly pain free (a few days of discomfort), but nothing that put me in tears like the surgery from Dr. Gonzalez. Look at the photos and you will likely see why. 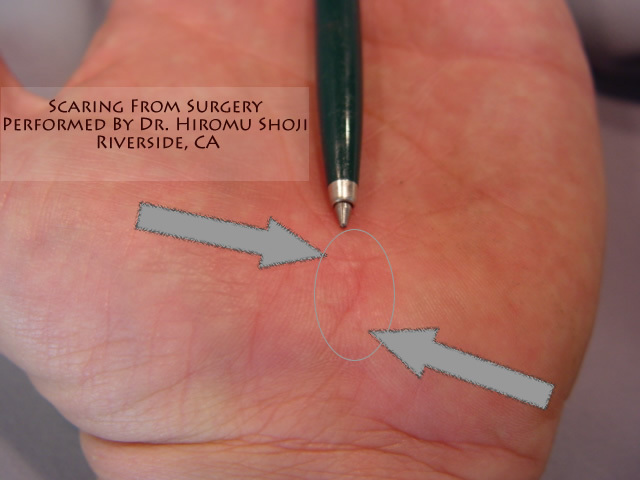 Compare the surgeries between Dr. John Gonzalez and Dr. Shoji.Smaller incision means a lot less pain and scaring. Have you ever wondered why the nurse asks you all those redundant questions that you’ve already answered before? This is why. My first surgery was scheduled for 5 a.m. So, I was told by Dr. Gonzalez’s nurse Kathy nothing to eat or drink 29 hours before surgery, except my regular medications and 6 oz. or less of water. The surgery center nurse was asking me all those redundant questions that you’ve already answered, and when she asked if I had consumed any food or liquid in the last 24 hours. I explained I had nothing except my standard medication and less than 6 ounces of water to take them with as directed. The information Dr. Gonzalez’s nurse Kathy gave me was incorrect and against the surgery center’s policy and my surgery had to be postponed. A complete waste of time and effort because of the incompetence of Dr. Gonzalez’s nurse. On my rescheduled surgery date, again the surgical staff was asking their routine questions, the same questions that had been asked already by Dr. Gonzalez’s staff. The surgery center nurse asked if I use a CPAP machine (a machine that assists those with sleep apnea where people stop breathing when they are asleep) to which I answered yes; the same answer I gave to Dr. Gonzalez and his staff. The surgery center had no record that I had sleep apnea and because they were never informed, the surgery room was not set up to accommodate a sleep apnea patient. Different equipment was required, and they didn’t feel they had time to reset the room and do the surgery because of the other surgeries scheduled. Most likely they would have to postpone my surgery again. Everyone (the anesthesiologist, the center, and Dr. Gonzalez) was able to move things around and handle the surgery that day but it was delayed. I have often wondered if the reason my surgery went so poorly was because the doctor was rushed. I learned sometime after my surgery that had the surgery center not double checked the information they received from Dr. Gonzalez’s office, there could have been serious complications up to and including death. I believe that the people at Orthopedic Medical Group are simply incompetent and as such they put lives of the patients at risk as they did mine. 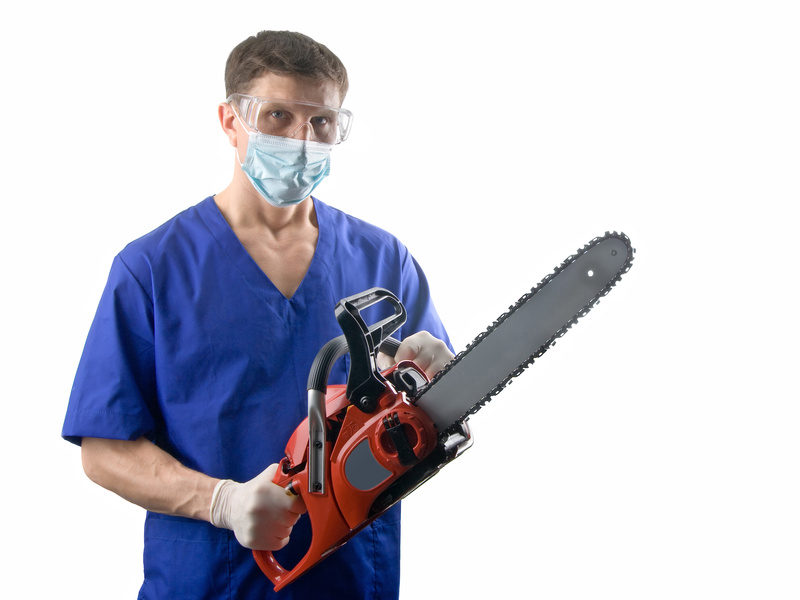 It seemed every staff member at Orthopedic Medical Group was arrogant, indifferent, or rude. Kathy, Dr. Gonzalez’s head nurse, was the worst offender. She was short tempered, didn’t want to answer basic questions about my surgery, and failed to return calls for days following my surgery while I was in intense pain. On the third day of acute pain after my surgery without any response from Orthopedic Medical Group, I called and insisted I would wait on hold until someone could speak to me. I was basically told that Dr. John Gonzalez was on vacation, there was no one there that could help me (even though there were 9 other doctors in the group), and if I thought something was wrong, I should go to Urgent Care. While I was out of work, I needed a single page completed so I would be able to receive disability benefits while I was out of work. It took 5 weeks and many calls to get it completed. Continually loose paperwork. One such incident it took me faxing the paperwork 4 times over 3 weeks to get it resolved. On July 11, I requested my records be forwarded to Dr. Shoji (who is amazing, and whom I would highly recommend.) They had a signed release and all of Dr. Shoji’s information. Nearly 2 weeks later I get a call asking where they should send my records. Again I gave them Dr. Shoji’s information. Days later, I receive my records at my house. On the date of my appointment whose sole purpose was so they could bill the insurance for a visit and schedule a surgery and a pre-op appointment (something that should have been done over the phone, but if over the phone they couldn’t bill the insurance company), I was running 30 minutes late due to a freeway closure for construction. In my head, I was thinking it wasn’t a big deal. It meant I would only have to wait for an hour and a half to see the doctor instead of the normal 2 hours. Upon my arrival…. I was told that because I was late, they would not be able to see me, and I would have to come back. Never mind this was truly a frivolous appointment, never mind that I waited for the doctor a minimum of an hour and a half every visit, or that the appointment was going to take all of 2 minutes for him to look at his schedule and mark a date on my chart. This was one of the few times in my life I truly lost it and went off.